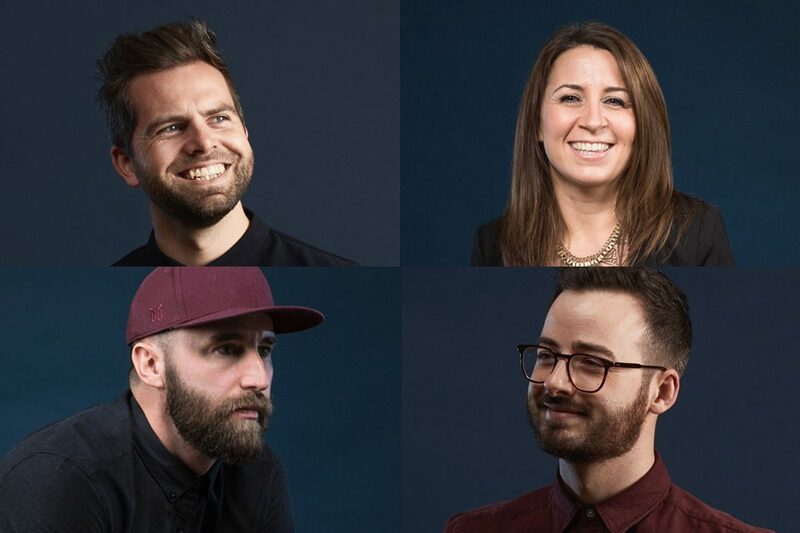 We’re a tight-knit team of thinkers, creators & problem solvers. Using research and strategy, we work with you to deliver effective, engaging brands that progress with purpose. Made up of designers, engineers, writers and strategists – along with our extended family of talented illustrators, photographers and filmmakers – we’re a tight-knit team at Ahoy. From start to finish, the people that you meet will be the people working on your project. Our clients are part of the team too and we work in close collaboration to ensure we achieve the best results for your business, quickly and efficiently. Seeing a brand grow and thrive is better than any trophy, but it’s nice to have been recognised with a few awards in our 10 year history. 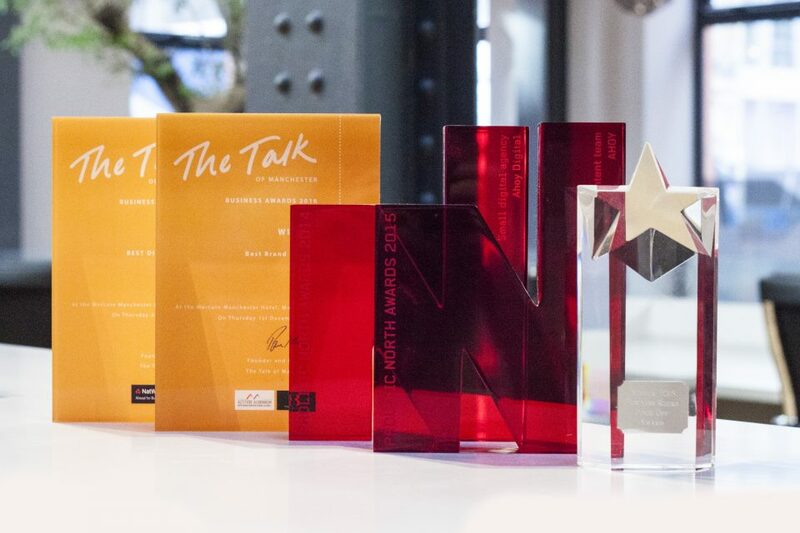 The RAR awarded us Best in Brand Strategy and Best Strategic Thinkers, the Prolific North Awards named us Best SmallDigital Agency, and the Talk of Manchester awarded us Best Digital Agency. Home is Colony, in the heart of Ancoats, Manchester. 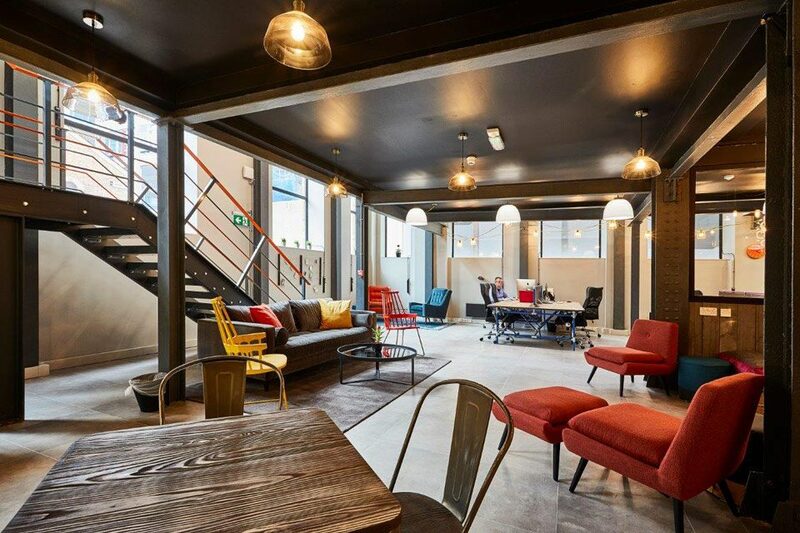 An open, relaxed space where we can freely exchange ideas. There’s break-out areas and booths for informal meetings, private rooms to show off work and an endless supply of tea and coffee. Plus, we’re only a stones throw from Manchester Piccadilly station and surrounded by great bars and restaurants. What more could you ask for? Why not drop by and see us some time? Whether we’re repositioning an existing brand or creating the Brands of Tomorrow, we deliver genuine results using our flexible yet focused approach. Through research, strategy and design, we create purposeful and compelling brands—driving businesses forward with a long-lasting, competitive edge. Great results come from truly understanding your position and surroundings—acknowledging your history and imagining your future. We get up-close and we stand-back, ask difficult questions and think about the big picture. By delving into data and looking outside as well as in, we identify trends, spot behavioural patterns and pinpoint key challenges. We meticulously analyse the information we have collected. We filter, refine and simplify—leaving us with clearly defined objectives and a firm understanding of what drives customer behaviours and decisions. It’s here that we assign direction and give your brand purpose. Key insight focusses our strategy and forms a basis for creative with meaning. We bring your story to life and articulate strategy into a tangible, coherent identity. We start wide, exploring concepts and ideas; constantly measuring against the brief and our defined objectives as we go. Through visuals and language, we craft a unique brand personality which delivers an emotive experience at every opportunity. And if the project requires something beyond our skillset, we'll collaborate closely with industry specialists to deliver the very best creative for every possible output. A successful brand is never complete, just as an effective website never sits still. With regular care and attention they progress and grow with their audience. Without, they lose their way and are left behind. We continue to challenge and evolve each project as it moves forward; listening, analysing and improving when necessary. We support our clients to ensure their brand is always performing at its very best. Just a few of the forward thinking brands that we have worked with.